Saraha Children’s School resides within the campus of its parent organization, Saraha Nyingma Buddhist Institute, or “Saraha” for short, a registered 501(c)(3) non-profit organization based in Eugene, Oregon, USA. 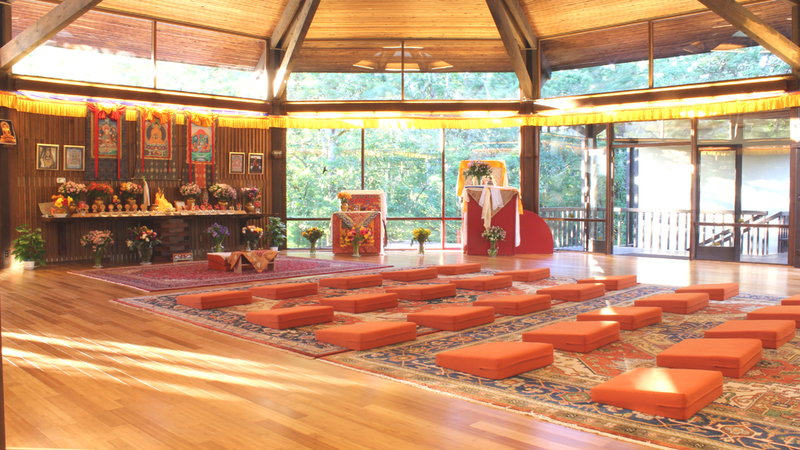 Saraha Institute is a local Buddhist center for community gathering, meditation practice, and teaching and training in various Buddhist educational subjects. Specifically, Saraha serves families and the general community through its daily public events and onsite Buddhist library, and local children through the Saraha Children’s School and its separate children’s library, and the elder community through its BHASA (Buddhist Home at Saraha) events program. In addition, Saraha serves tens of thousands of distant, including international, online visitors each year through Buddhist educational resource postings on its website and various content and social media platforms. Buddhist teachings arrive in the present day via specific lineages, with specific history and content. Saraha Institute is no exception. 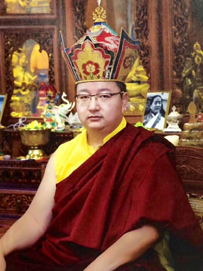 Regarding lineage, the Institute was explicitly created for “the preservation, support, practice, study, teaching and propagation of the teachings of the Dudjom Lineage of the Nyingma School of Tibetan Buddhism.” And operates under the blessings and spiritual aegis of the head of that lineage, Tibetan Buddhist master HH Dudjom Sangye Pema Zhepa Rinpoche, who visited the Institute most recently in July of 2018. At the same time, an open approach to Buddhist education reflects the fact that authentic teachings of the Buddha are inconceivably vast, offering specific benefits and methods for beings of all lifestyles and stages of life. This truth of openness is at the heart of the Dudjom Lineage itself. Therefore the Institute is committed to diversity, and expresses this intent by inviting and hosting Buddhist and non-Buddhist spiritual teachers, from a variety of schools and backgrounds, and including local community leaders, to present and offer teachings, seminars and performance events at Saraha. Offering an opportunity for young minds to learn the methods and philosophy of Buddhism, and to be nurtured by its blessings and spiritual approach, Saraha Children’s School is a natural extension of the activities of Saraha Nyingma Buddhist Institute. For more information on Saraha, its background, purpose and activities, visit its website at www.saraha.org by clicking HERE.